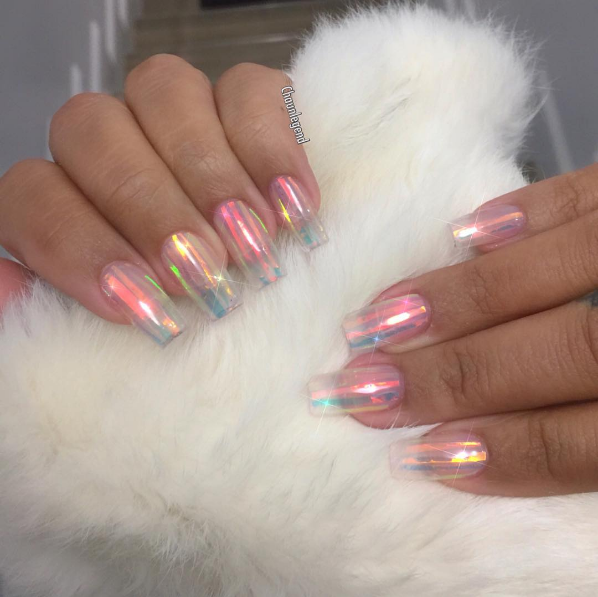 You know what they say about nails, “Any woman can wear great outfit but it is her nails that make the statement”. 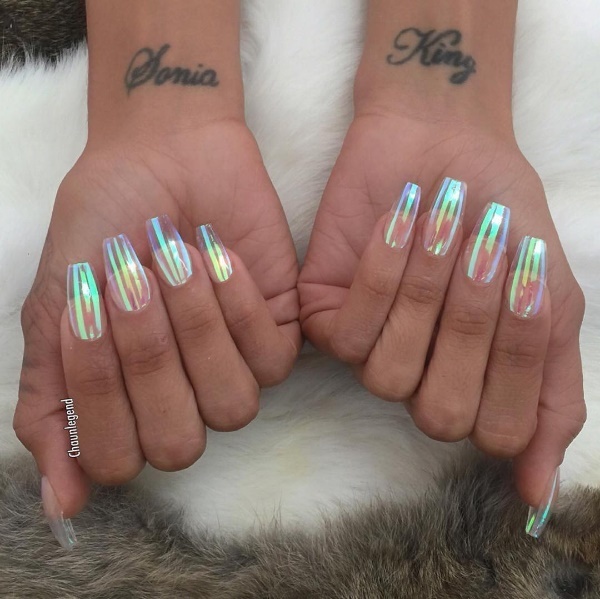 If that’s really the case, nothing states elegance and grace louder than this clear nail art. 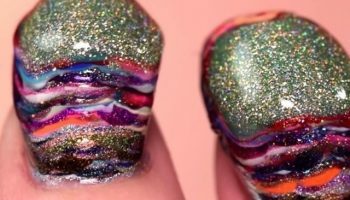 The iridescent nail was once described as, “If Cinderella matched her shoes to her nails, it would look like this.” Before you disagree, first take a look at these awesome creations. 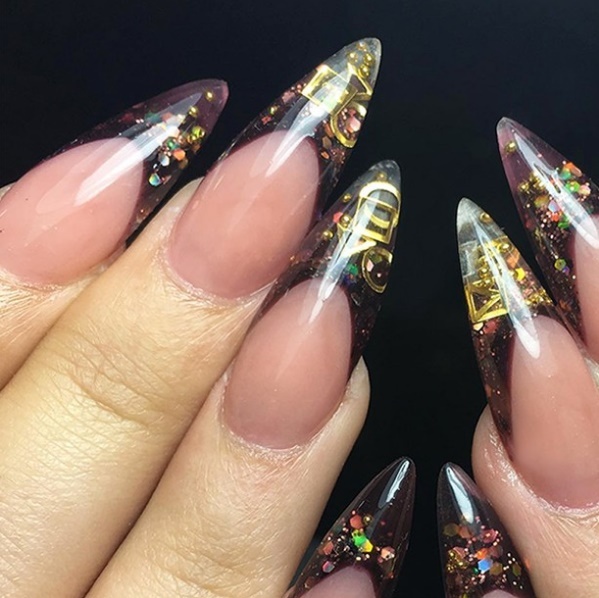 The nail art’s main point would definitely be the regal vibes it eludes; long, clear nails would make you feel like a princess. The lustrous finish also allows you to match it with any outfit on your closet; it goes well with any color, any style-casual, glamour, or formal, and it’s appropriate for any occasion. The good news? 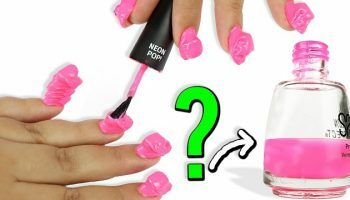 Recreating the nail art isn’t as difficult as you thought it’d be. 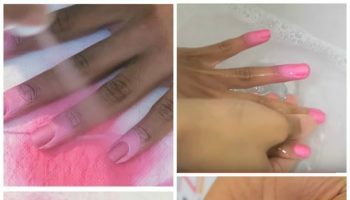 They’re also easy to ask for at the salon, so don’t be stressed out if you can’t figure out how to do it yourself. 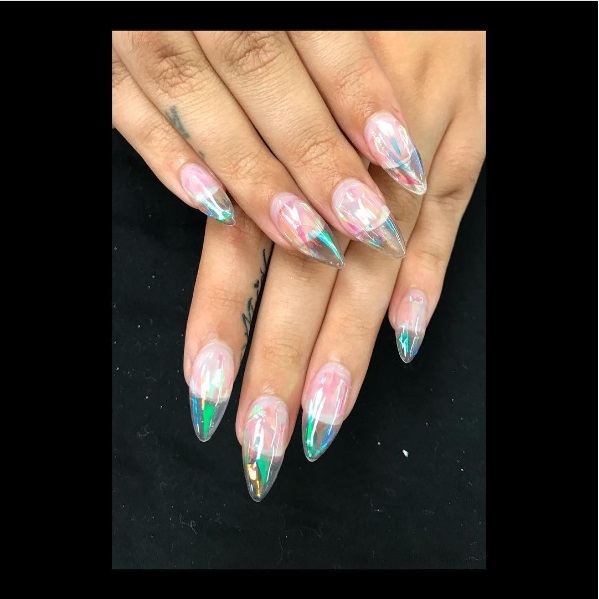 However, if you’re keen on trying it yourself, you can use a sculpting gel to achieve the clear long tips and finally apply dusting with a translucent chrome powder, translucent holographic foil, or even Mylar for the finish. Now that you know how to make them, you can also add your own taste into it. 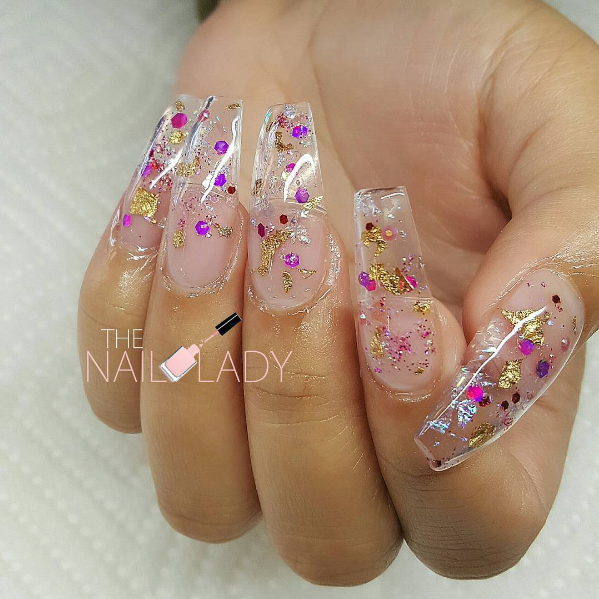 The nail idea also gives plenty of space for imagination. 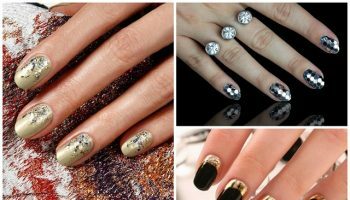 Whether you like it simply-glossed, decorated with small colorful stars, with some silver glitter, combined with gold nail polish, bejeweled, or even imbued with glow in the dark polish! 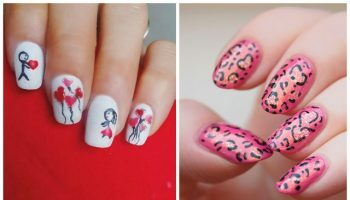 There are just so many things you can do with such a simple style.